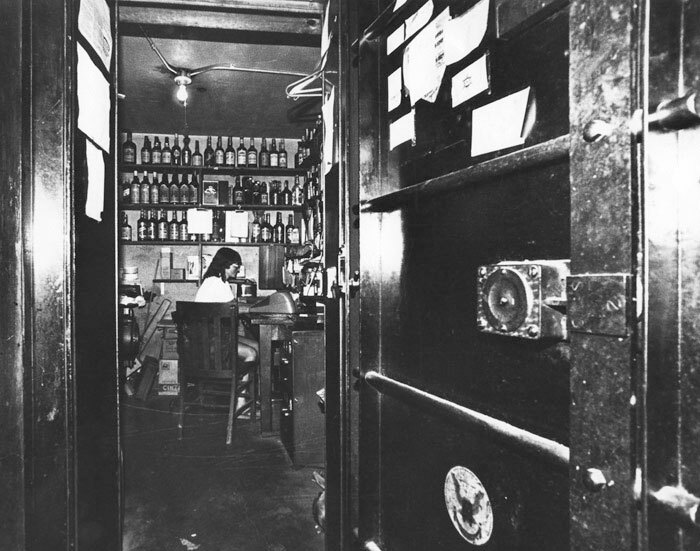 Since the Rusty Spur Saloon opening in 1958, the vault has held another precious commodity--liquor! At one point in its past, a former owner was so worried about someone being trapped in the vault that he drilled a hole in the ceiling. You can still see the hole today. Image courtesy of Scottsdale Public Library.